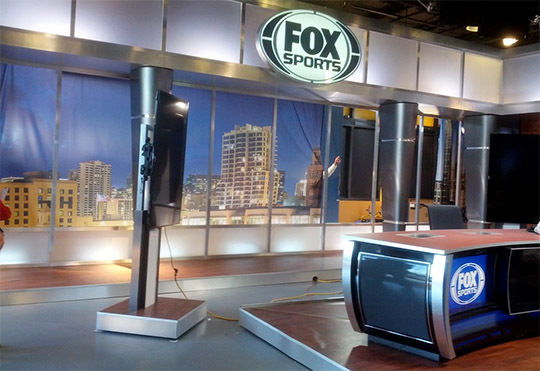 Mimicking its larger brother, Fox Sports San Diego rolled out a full set earlier this year. The 2,700 square-foot studio overlooks the ballpark and is a new addition to the network. The setup includes a demonstration area, interview area, window with a view and main anchor area. 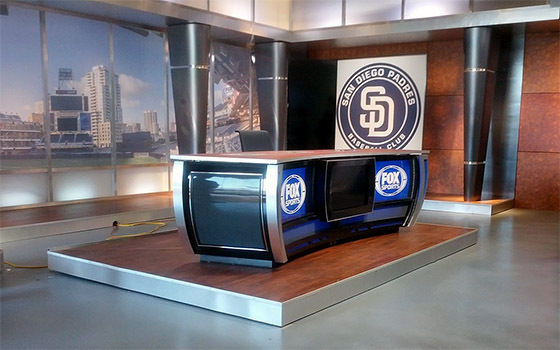 The space was previously a studio for Cox Broadcasting, when they had the Padres contract. “What you’re seeing today is pretty badass,” Fox Sports San Diego’s General Manager, Henry Ford said in a story on ChickenFriars. “Nothing compares to this, we are trying to be uniquely San Diego. We are not trying to be LA or New York. 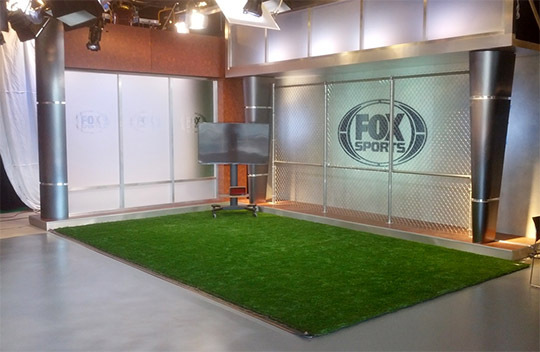 The set has the styling of Fox Sports Studio 2A, designed by Clickspring Design. Jeff Hall Design has taken credit for this set on its website. The sets main anchor area includes change out duratrans, which include views of the stadium and city. The desk matches the new Fox Sports style and national look. While scaled down and budget friendly, this set has a big look and beats most Fox Sports affiliates. We’ll see if this set rolls out to others soon… Some affiliates have done some updating, including updating to the new desk.